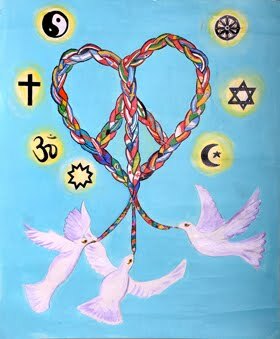 I am so fortunate to belong to different groups of advocates. I am much aware now than a year ago, what a whirlwind and magical realization about human rights, reproductive health, justice system, poverty, life and family. For this 2011, I would say the deepest and most challenging year from the rest of my life. I met a lot of interesting people from slams to politics. Everything is different and anywhere and everywhere I go, my point of view to so many things have been change. For us humans, we thought we are invincible and untouchable. The natural calamity and human induced catastrophe only telling us that this life of ours is a temporary temple of the soul and that just like plants and animals will eventually die. Some of us do a lot of things without respect of others, majority of us actually because of the needs that our government cannot provide. 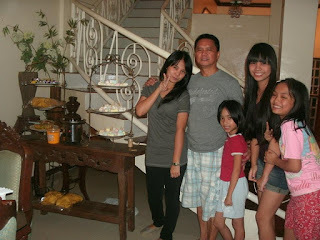 We thought we can do a lot of things, which are against the law, but we tend to justify those acts because of family. What are you going to do if your child is asking for food and you don’t have even a single peso in your pocket? Who am I going to blame? With a surprised calamity around the world, calamity for me is including war which is human induced and a surprise for me because my parents thought me more than hate but to love our countrymen and more beyond than this. Still, don’t do to others what you don’t want others to do unto you. For us prayers and love could solve everything. Everyday is a calamity day in all parts of the country, check bayan ni Juan sa Calauan and our 17 barangays. In some deeper parts of each Barangays I would say there are poverty that is not popular or published in even a small tabloid in the area. For the first week of this coming new year, will remove all things in my closet, will put some things I don’t need in a box and will send it to those who are more in need of these things than me. This is also a one way also to clean my closet and helping others at the same time. Can you do that too? My mother told me that she was not always wearing new shoes before when she was little but with perseverance, love from family and education, she achieve a lot way more than her peers. I admire er so much, her beauty, compassion and wisdom is helping me to do what is right all the time, truly mothers knows best. Social media as a powerful tool for an awareness program gave us a lot of time to realize how fortunate we are attending parties, with food on the table and have gadgets to connect anywhere. A lot of us are using this change and progress of the technology to advocate human rights and to empower our government official to do what we think is right and morally good. Using this tool, we can influence, encourage and use our democratic rights to speak up. Not only in times of published calamity one must help but must do it everyday because everyday, a lot are suffering, no food on their table, clean water, medicine and education to fulfill ones dream, to survive. Nobody right now I know told me that his or her life is way better now than 5 years ago. Most of them love more to bring back the time. Must be the poverty or calamity we are experiencing right now not to mention the climate change. My youngest sister dream is to travel and she is doing it now. She’s a Management major and with two years of Law under her belt. Fluency in French and now learning German and Italian are the languages she’s studying now. Her husband, a multi linguist author of a technical book and a Neurosurgeon in which even one word from his book I cannot understand is the culprit who gave her satisfaction for her dreams. Everyone will be happy if only with love ones and as of this moment, she is living her dream, two beautiful sons and another son on the way with a loving husband beside her. Though I would say she is happy, still she goes home every holidays or every opportunity she could get. Family is where the heart is anyway and the foundation of all decisions. Judgment and advocacy all starts inside our home. I would blame my parents for this, for bringing and giving us so much love and understanding about life and on how to share the blessings to others. 2011 is different for all of us. All major happenings or events affects everyone, wherever you are, even you doesn’t want to care, at the back of your mind, you know even a little. We still care and if only we could go where the calamity affects more, if only we have the means, we will spend some time because deep inside of this human heart, we still care because we don’t want that to happen too to our family. 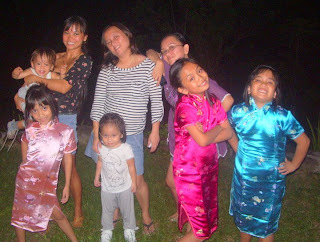 A realization too because of this 2011 holiday is that nobody is an island, we cannot live alone and if there will be a choice who we would like to be with, it’s always the family. We are attached with them, no matter what will be the differences because of the experiences and maybe some discussions happened, still Blood is thicker than water. It is easily for us to forgive and to bring back the time when we are still little, especially if the parents keeps on reminding you to love your sisters because they will always and only sisters one will have for the rest of this journey. For every reunion with family, if one is courageous enough to forgive, if not for thy self but for the betterment of the majority, one will do what is right, to forgive. Family is still a family; we cannot change who we are and the relationship. We can change our friends or new acquaintances but the family remains the family no matter what. So for this season, let us all realize the beauty of life, those people who will not leave us till the end no matter what, our family. I would have to say that this Christmas 2011 is the most expensive holiday for me ever. Though I told myself that I will not spend more, but with people who I wanted to give those gifts, love ones of course, and though it’s not about the cost of the gift, the cost in the retail store went up to the maximum. The rate of Peso to dollar is not the highest but would say not the lowest either. Balikbayans want to enjoy the holidays with their family in the Philippines and the malls are packed. I can’t imagine that with the highest rate of poverty in the Philippines, how do a common Juan and Maria could afford malling. One of the posh mall I’ve been to is the SM Podium, would love to spend time there because of the fewer customers compare to their other department stores. Though the Restaurants and shops are more expensive, still compare to Alabang Town Center with the same restaurants and shops, the fewer the people, the more relaxing for me. I am already stressed with work and the heavy long queuing of traffic along the way, I don’t need a long line for paying the gifts too. 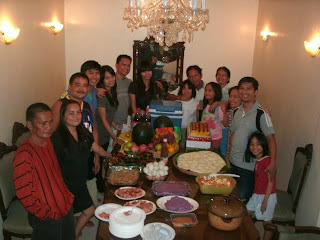 This time I realized that Christmas is about Family. Happiness is the most important wish that one could give to each and everyone together with peace, prosperity and good health. I miss some of my deceased relatives, I love them so much and regret those times I didn’t spent time with them but this is the reality and so the realization of showing love now must be done and would really need to work it out, it’s not easy especially if some opinions and decisions with them are opposing with yours. That is life anyway, without courage and forgiveness, it will be nothing and useless. Kids gift request are more techie now than any other time. They are growing fast and I wonder how I became this old in just a glimpse. I still think that I am 22, oh well maybe because everyone is young at heart. Santa Clause took good care of the gifts mostly, thanking him for working hard for a year to afford those nice gifts. I told to the kids to check their blessings, on how the typhoon destroyed all the assets and life of many people in Mindanao. They are growing fast and could understand now the value of work and a single peso. They know how important now is to help and the value of having a good family around. They are willing to donate their toys for them, they knew that those victims needed more. Life will never be the same again. I am blaming the culprit for this tragedy. The government who gave permits to illegal loggers and miners. The calamity is human induced more than a wrath from the nature. For this Christmas 2011, I am hoping everything will be the past. The coming new year will give everyone joy, more love, realization to love the environment and a wish for worldwide peace. Everyone is related, what happened to Japan, with 15,000 people died because of the recent calamity affects also the Philippines and the other parts of the world. 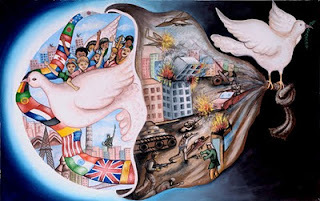 If only the majority will be heard, if only our voices will become the most powerful tool, it will become only with unity and this time, it is the biggest problem. Still wishing for this new year, harmony and understanding for each and everyone. I saw him standing up in the building 20 meters far from my house and at instant I sent text messages to our dear Mayor and Vice Mayor. I don’t have the numbers of the Police station and the first thing in my mind is for the executives to know what’s happening. There’s a Police Station just in front of the building where the noise is coming, more or less just 6 meters far from the place and I am thinking that nobody maybe was there because the boy was still continuing to pound the roof of different buildings just in front of my house. I reached for my car keys and went out to check the police and sad to say, there were more or less six of them and just standing up on the other side of the road and looking or maybe waiting for something or someone to stop? I asked the officers what will be their plan, one of them told me that the gate where to go inside of the buildings is close and that they don’t have a ladder. The gate they were telling me belongs to my father. When I was in college, I could go up and jump alone in that gate without the help of other people and hearing the officer about this alibi is very disappointing. I told to one of the officer that I could jump to that gate and in 10 minutes together with the other officers, they asked the tenant of the other building where to go up. As disappointed as I am, while some of the bystanders are laughing about the situation, I feel so helpless. 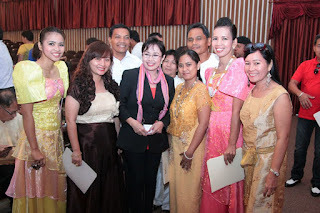 Mayor Felisa Berris arrived then soon after the Calauan Chief of Police. There were two officers on my father’s 3rd floor building now, looking for the boy. The boy went inside the building and started to break two-window glass, now it’s the property that needs to take care of not to mention the roof that in times of rains will obviously have holes now. For some people, a boy with a wood in his hand and pounding the roof is just nothing especially if that’s not their property but to me and for those people in the area, the situation is worst. What if the children are playing? What if it goes inside to our houses? Surely, we cannot let our doors open now. The boy was capture. He is so thin and half naked with bruises. I don’t have any complaints to the boy if he has a mental disability and for the police, they captured the one who is making a noise and property disturbance though there might be no property loss if they are quick. My question is, what if I didn’t go out and asked the officers to do something? 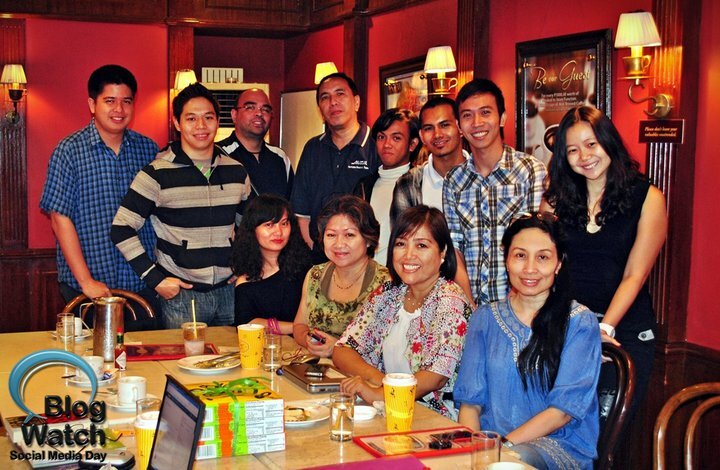 The Philippine Blog Awards aims to recognize notable Filipino-owned blogs in their respective niches. With topics ranging from the arts, culture, technology and politics, Filipinos have become more abreast because of the fast growing blogging industry here and abroad. The Philippine Blog Awards is a venue to showcase notable blogs with quality content that engages readers from around the globe. I am so surprised when I received an email that I am one of the National finalists for not only one but two categories, which is the “Bloggers Choice” award, and “Advocacy” category. I invited my mother to join me to the awards night, as a proud daughter, which I am, I believe that the foundation of advocacies is family. Family is where I got the wisdom and empowerment to help others. My advocacies are Human Rights, Environment, Good Governance, Reproductive Health and awareness program that is why I am blogging. For me, through writing, I could empower, influence and encourage my friends and everyone else it could reach not only in the Philippines but also around the globe through the use of the internet. For me, this is the time to effectively use the power that is just in our fingertips. In just one single click, which is the “enter” in your keyboard, you could enrich, influence, encourage and empower everyone. You are empowering your readers, you are making them aware about the situation, you can encourage them to join you too in your advocacies. 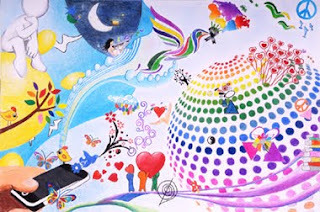 Blog watch gave me a will also to write, Noemi Dado- Lardizabal is one inspiration. 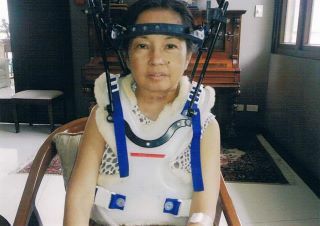 Her advocacies gives me a will also to continue together with the Blog Watch contributors which I am calling my online and offline family for their various advocacies from Human Rights to Good Governance while Mulat Pinoy gave me the first step when they asked me to become a contributing writer. For me I will keep on blogging as my way of awareness program aside from the offline seminars and trainings I am doing for those who need my help. This is our time, keep on blogging.For me, that is what "Bayanihan" is all about. Would like to thank the Philippine Blog Awards President Juned Sonido, Karla Redor and to all the organizers for the successful event. Till the next Philippine Blog Awards. Attended by the DOLE Regional office Director Atty. 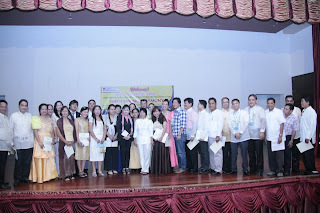 Ricardo S. Martinez, Sr., Bureau of Local Employment Director Criselda R. Sy and DOLE Undersecretary for Labor Relations Hans Leo Cacdac, concurrent officer-in-charge of the National Conciliation and Mediation Board (NCMB) among others. · the payment of at least the minimum wage, (2,500 NCR, 2000 outside NCR, 1000 3rd class municipality such as Calauan, Laguna). The current minimum wage right now nationwide is PhP 800.00 pesos. · maternity and paternity benefits. Under this proposed law, employers are prohibited from sub-contracting the service of the household helper to any third party or household. Likewise provided in this bill are the enumeration of the special rights and privileges of household helpers of minority age, as well as rights and privileges of self-employed, and part-time or day-to-day household helpers. This proposed legislation is an affirmation of the value and dignity of every person and guarantee full respect for human rights. One that struck my attention is the minimum age of Kasambahay which is 15 years old. Though the bill would give special protection for child domestic workers and some prohibitions on hazardous work, in my opinion, 15 years old is so young and their body built is not suitable for household work. I asked USEC Cacdac if there will be “Amo” bill that gives protection to the Kasambahay employers because in Reality, there are many abuses also happening against the employers by the kasambahay. Because trustworthy Household helpers are hard to find these days, some kasambahay are the ones who demanded to send them transportation allowance in order for them to go to the employers place but usually they only made it as the stepping stone then in few days they will leave intentionally the employers from the province and go to the city. The bill must give full protection to both domestic helper and the employer in order to see the fair treatment of the legislator to their constituents. 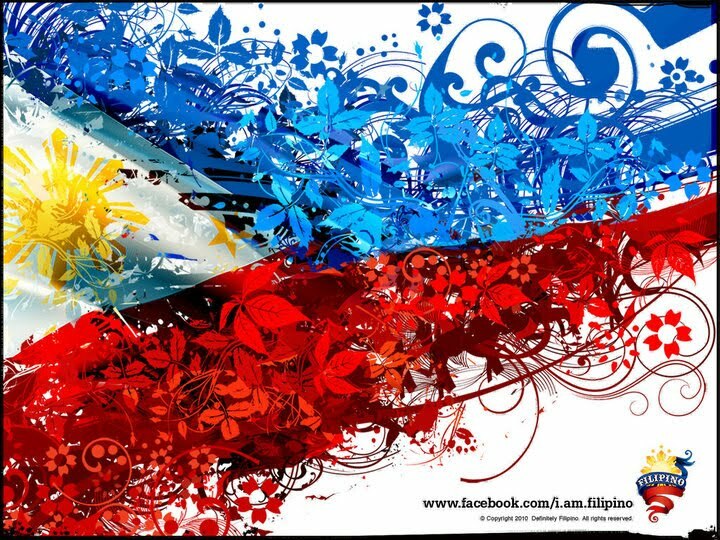 The bill must be for all the Filipino people welfare. 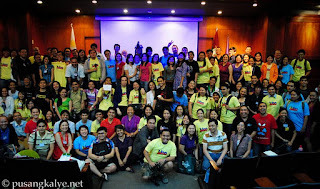 December 2, 2011- At the Philippine Information Agency at Calamba City, Laguna, the media and bloggers from CALABARZON welcomed AMOR ROSANA, CHIEF, PLANNING DIVISION- OCD4A, and FREDERICK BRAGAS CHIEF of the MIS Department OCD4A to discuss the role of the Office of Civil Defence in the country and the solution to Climate Change. As naïve as I am for I thought the office role is to defend the people from Human induced calamities such as crimes and war rather than the natural disaster like typhoons, flood and environmental hazard. From their website there is a law that stipulates that during times of war and emergencies, the OCD is the principal agency responsible for coordinating the activities and functions of various government agencies and instrumentalities at all levels, including private institutions and civic organizations devoted to public welfare. This is to ensure that the facilities and resources of the entire nation may be utilized to the maximum extent for the protection and preservation of people’s life and property. I just hope that the office will be more visible and their role must be known to the Filipino People not just for Government officials. November 25, 2011 Batangas City and Governor Vilma Santos Recto welcomed all media personnel from Cavite, Laguna, Batangas, Rizal and Quezon at the Provincial auditorium of Batangas Province. 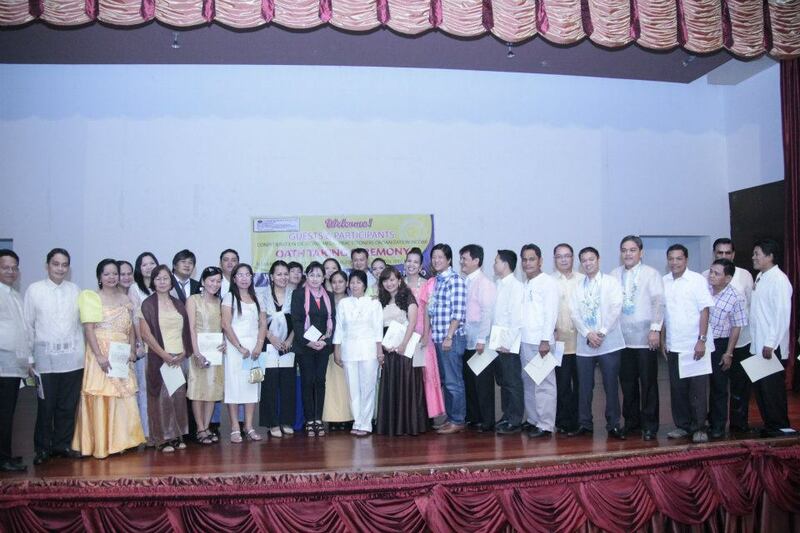 The day is for the oath taking ceremony of the newly hailed officers and members of the press at the CALABARZON area. Most of the attendees are from different publications and radio stations that are delivering news and information to the general public. 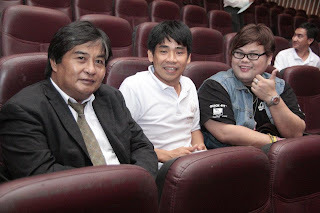 This is also the time the group CAMPO or Confederation of Active Media Practitioner Organization second year anniversary was being celebrated with the new President Rubie Garcia from Cavite. 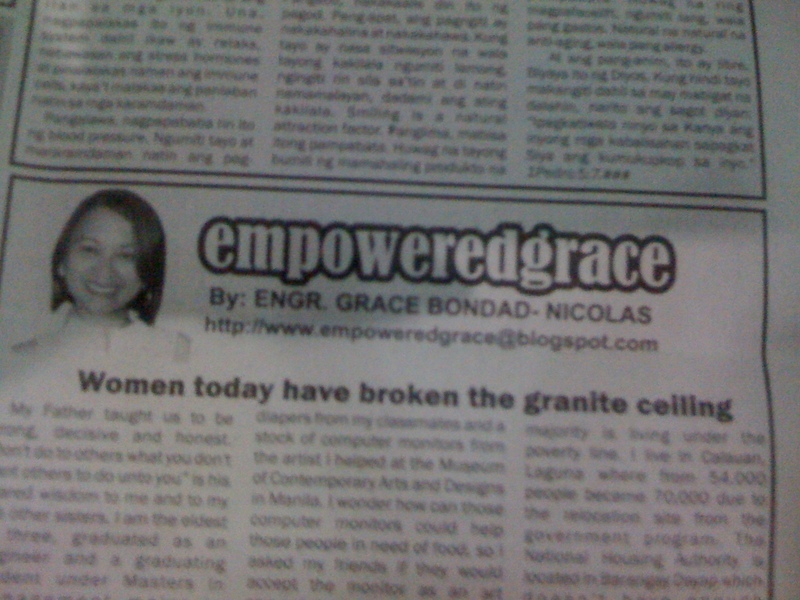 In this event, I am the only Blogger Columnist and this is because of Kliping Times where my blog “Empowered Grace” is being published every week with articles from Human Rights, Advocacy to Success. The new Vice President of CAMPO is Mr. Zen Trinidad, the publisher of Kliping Times and the last one who spoke at the event. Guests were ASEC Zaldy De Loyola, Marlon Purification of National Press Corp., Batangas Vice Governor Mark Leviste and Philippine Information Agency Calamba City Norie Sumilang among others who shows their support. No to Mining! Yes to Life! I’ve been writing for years about Poverty in the Philippines, the situation is getting worst each day due to population increase. There are more beggars, more illegal settlers and more crimes parading non stop to our daily life. They said its survival of the fittest so the move and changes justifies all misconduct and wrongdoings but still we have many laws to follow for the security and sake of many lives, we don’t live alone and we cannot live alone. The question lies on the government on how they could help the country if the people are suffering and greed is the norm in the government office? The Calamity such as Ondoy and Sendong right now is human induced calamity, I am blaming the illegal loggers. Don’t forget that in Mining, there will be removal of trees to get the minerals. More than 900 lives are lost because of the greed of the few. If one will check all the industries in the Philippines the area where the Mining industry is located right now is one of the poorest municipality, people doesn’t have a choice but to mine, so I am blaming the government official for not giving the people the alternative work. Poor people became poorer and rich becomes richer. One injustice truth is working at the Mining industry. In the Philippines, we could define poor through the salary per month, which is below Nine Thousand Pesos while the rich will have 23 times bigger than that. There is a measurement of everything and the standard in which we live in depends on the amount of money one has on her bank account. Mining might be one other way to survive only if the community doesn’t have anything to offer. People need to choose and government offices need to stop giving away business permits. The need for basic needs everyday and the will to survive are the only reason why we could work in a mining industry. Big facilities, big time foreign investors and the no benefit in the community, hazard to the environment and no future are the only we have if we will embrace this industry. Only the few and the investors will benefit to this industry while the majority few will suffer with the environmental hazard it will bring. In the Philippines where we converted our Agricultural land to commercial spaces and shopping malls will have it’s toll 10 to 20 years from now. Before, we don’t drink bottled water and say, last 10 years ago. Why are we doing it now and not to mention, expensive? Because of pollution and toxic in our water system and yet people are still not aware or doesn’t care at all about the only environment we have. In the Philippines where majority of the population are uneducated rely their source of life to farming or fishing. The Philippines is rich in minerals and that is why farming must be push not to convert the land to commercial purposes, it is our basic needs. It doesn’t mean that we will go back to hunting animals or we are turning our back out from progress but we are not the one producing chips for technology here that’s why we have work at Industrial or Science Park which are mostly located in Laguna and Batangas but we are just doing the assembly here. Companies like Fujitsu, Toshiba, Ionics and the like are manufacturer of finish products in the Philippines not producing the raw materials. In Mining, we are removing the minerals. We are planting trees right now because the experts said that we cannot solve the Climate Change anymore but we could make the process slow by means of bringing back what we took from it. Mining and logging go together because you cannot mine without cutting the trees, so that makes the miners not doing their part to save the environment. Our basic needs includes food and the major part of it came from farming and fishing. With Mining, its removing slowly our life, poisoning and putting toxic to the source of life and there will be no restoration for that or if there will be, it will take most of our life to bring back the beauty and richness of nature and our food supply, check law of supply and demand in this case. A lot of heroes today or philanthropists who have will, power and means to provide the basic needs are not even government officials but has long term plans and methods on how to help the people in their own way. Those people are doing it for free and without asking for anything in return but to make a difference for the sake of her countrymen. One local hero is Gina Lopez who is the founder of “Save Palawan Movement.” She is gathering signatures to show the impact and power of the majority against Mining not only in Palawan but to other affected areas all around the nation. From her, we could do everything as long as we are united as one. No to Mining! Yes to Life! Is her rallying cry. From the past months- an interesting conclusion from the observation of the Justice System role in the Philippines caught almost everyone’s attention. From heinous crimes done by the poor people to the allegedly billions of stolen wealth case of the elite and powerful paraded to the eyes of the majority. 58 people died in a massacre from a far- flung area of Maguindanao and 730 days have pass with no concrete solution to the problem that the justice will be bestowed upon to the victims. The accused elite with their famous and popular lawyers is happier than the family that was left behind and starving to death. The monopoly of a giant company is better to be called Ceasar of this time without any option for the poor consumer. Every month this Ceasar will just collect with the computation that a common Juan will never understand while the Higher court is assuming that every Juan knew and aware about the system. So too think of really big time good looking crooks with their clean and ironed well suits freely roaming around and enjoying their precious lives, remember infamous professional thieves proudly displaying their stinking stolen wealth and throwing and displaying well with cameras their donations for poor people. Don’t forget some high-ranking politicians infamous for their big families and graft and corrupt practices yet still manage to command the adoration of the majority of the population—and you find systemic injustice reality in the country as their common playground. With a good fortune and the precious blessings brought about by social injustice will never just be a common reality to every Juan. Came across with this statement from a high-ranking official that not all legal is right, does it means that not all illegal is wrong? Come to think of it, it is morally impossible to find anything really good or truly right when injustice is an element of the court. So honesty is not really honest, generosity might have a hidden agenda behind or in other words, people doesn’t have no satisfaction but greed. A Hacienderos will have all his land while the tenants will die as tenants tens of his grandchildren till the agricultural land will be converted to a commercial leisure residential part in the South. What is the life of one leader if the cost is only 60,000 pesos, same as the cost of one luxury bag? Everything will be forgotten, as time goes by, life to everyone, to others will still go on and will just continue to mind their own business to survive in this harsh injustice reality that we are all in. The justice department has been investigating a powerful elite for their role in suspected election rigging in 2004 and 2007. They were also facing corruption inquiries in connection with several government contracts and yet never from the entire months of request the accused attended or appeared a hearing in court, which is another reason to become rich and powerful. Conclusion: In the event that the new yellow administration famous with so many slogans and swamped by so many invisible concrete decisions, propositions, solutions to poverty, suggestions is unconditionally committed to its battle cry of principled, objective and straight policies and upright governance, it stands to reason that with unity everything will be possible, its over-all national plan of action cannot but have as its cornerstone and priority mission, none other than a consistent, serious and operative Justice System all over the country. And the rest of what is basically good, right and fair for the Philippines and the Filipinos, simply follow as a matter of course. I am more a Chess fan than Boxing (I don’t like blood) but my time to appreciate it became recently only with Manny Pacquiao as the boxer who is still the Champion. People like to dream and Manny with his multi tasking skills as a singer, congressman, entrepreneur and print ad model and not to mention his evergrowing empire makes the Filipinos “proud” or “envious”. I am a proud Filipino and proud about the talents of Pinoy but a lot of different reactions from yesterdays fight make me wonder about the truth..well for me, winner or not, it’s always business as usual. The #PacMarquez tweets are more exciting than the match itself. 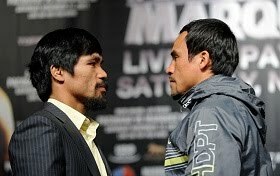 Pacquiao must win. Or we are in danger of having him as a full-time congressman. RT @danrafaelespn Marquez is winning this fight thru 8. Manny looks confused. I just hope Manny Pacquiao retires before his brain gets addled by too many head blows. How Manny won? Pacquiao: 176/578 punches Marquez: 138/436 punches. Let the evidence speak. 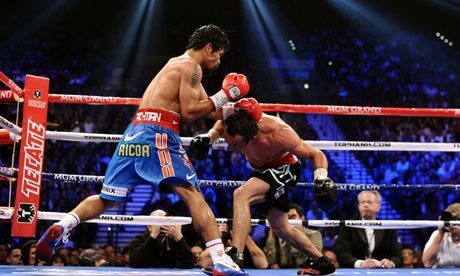 #Pacquiao defeats #Marquez in controversial majority decision. A fourth fight? Or time for Mayweather? Pinoy pride and being a Pacquiao fan aside, JMM came in prepared and fought awesomely. Pacman won but JMM stole the show. Congrats, Manny. Congrats Manny Pacquiao,avoid politics & bad politicos,being Hero is greater than being President of the Philippines! Push reforms. RT @orangerose: The crowd is booing Manny Pacquiao. And it is very loud. Manny Pacquiao, after the fight: "It's very clear that I won the fight. I wouldn't argue TOO much with a 114-114 score. But 116-112 for Pacquiao is insane. 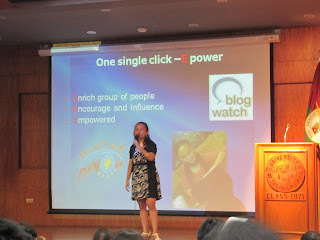 Reposting from my article for Blog Watch because it’s timely (Iblog7: In 1 single click= E power http://blogwatch.tv/) Seeing my friends as speakers for different outstanding events makes me wonder that if they could do it, if they could do an spectacular something, why it’s very hard for others. Poverty is one hindrance, but what if everyone could afford? As we have this journey, how can we manage to bite back when they are always telling us that reality bites? 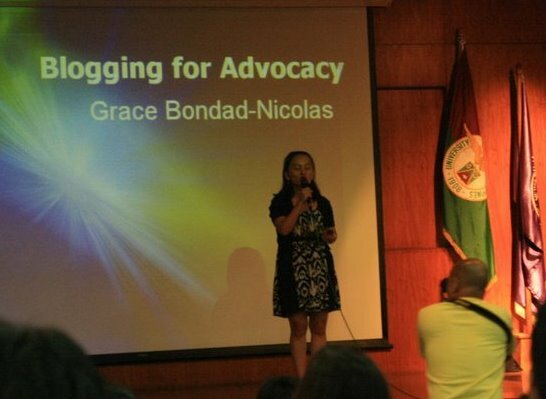 In Blogging for advocacy, everything comes naturally. It is about yourself, your passion and your environment in which you focus all your forces together with some luck. Blogging is not for everyone. To be a good blogger, one must have the will, time and an open heart to accept the challenges. There are three things to consider; Empowerment, Encouragement and Enrichment. In 1 single click, an individual, group of people or even a politician can be empowered. It’s about influencing a target market about the issue. With the use of the fingertips, it could even start a revolution. The power of that 1 single click just like an ‘enter” sign for the “go signal” to allow the missile to be released could cause a disaster or peace. Empowerment is having power, making everything or thinking that everything is within your reach. It gives somebody courage, confidence and will to continue. In 1 single click for an advocate, everything needs to be done. An awareness program for the citizens to be concerned, a training or seminar for a group of people to become skilled or a forum for those who are misinformed to have the right information. From the events and experiences of an advocate, the time has come to write which is as easy as 1,2, 3 because of the facts, observation, interviews and curiosity. A blogger must be knowledgeable about the issue. The world is the market and audience. Encouragement will be easier with proofs and reputation thus facts must be the objective. In 1 single click, there are many connections. With the same advocacy group like RHAN or The Reproductive Health Advocates Network, while blogging, one can enrich everyone, no impossible. Twitter, Facebook, Wordpress and Blogspot are just some common tools to show the advocacy, from there one might encourage, empower and enrich the whole country without knowing it. The power of the internet and your fingertips might be the biggest issue today because of the positive or negative strength of the world wide web. It’s like praying that you are thinking somebody out there will do the work. In just 1 single click, everything will never be the same again. In blogging for advocacy, it must be non-profit. One must not consider it as the day job. Donations and supports are welcome to be able to sustain the goal and objective but not for thyself. In one single click, one can help by expressing through blogging. Pilipinas na binubuo ng mahigit kumulang na 95 Milyong katao ay naghahanap pa rin ng isang Lider na makakapagpasunod sa karamihan, tuwid na daan ang kinakailangan at may kamay na bakal. Kadalasan ang mga nahahalal sa pinaka mataas na katungkulan ay mga kilala, batikan o may mga dugong pulitika ng nananalaytay sa kanilang ugat. Mga maykapangyarihan na sa kani kanilang bayang sinilangan at ginagalang sa kanilang komyunidad, nagtapos sa matataas na paaralan sa ibang bansa o kaya naman ay nagka posisyon dahil sa popularidad sa palakasan man o sa pinilakang tabing. Napansin nyo naba ang pagkakaiba ng krimen sa ngayon na ang nasasangkot ay mahihirap at may kapangyarihan? Napagnilay nilayan na ba nating lahat ang pagkakaiba ng hustisya kung ang nasasakdal ay isang hamak na Juan o isang mayamang si Diego? Gaano man kagaling ang namumuno sa ating bayan, may prosesong pinagdaraanan ang paglilitis, ngunit ang kaibahan sa haba ng panahon, prosesong pinagdaraanan at sistema ng hustisya ay may malaking pagkakaiba ang mahirap at mayaman. Sa kaso na may kapangyarihang opisyal na nadidiin ngayon sa “Plunder”, ilang beses na ba nating nasilayan ang kanyang presensya sa hukuman? Humarap na ba sila upang ipag tanggol ang sarili mula sa nag gigitingang mata ng taong bayan at nangitngitngit na mga mapagmasid? Sa ating natunghayan sa radyo man o telebisyon, mukha yatang nagkakaroon ng mga sakit sa katawan ang mga nasasakdal. Mula sa diksyonaryo, ang salitang “Plunder” ay katumbas ng “magnakaw”, “manloob” o “mang agaw”. Magnakaw ng hindi kanya, manloob sa iba, o mang agaw ng hindi sariling pag aari. Sa madaling salita ay kumamkam o kumuha ng hindi nya pagaari ngunit ito ay hindi kayang gawin ng iisang tao lamang lalong lalo na kung ang pinaguusapan ay kaban ng bayan. Napakaraming proseso ang pinagdaanan ng pagnanakaw, hindi lamang iisang araw ang ginugol ditto kung limpak limpak na salapi ang nakulimbat. Ang tanong mangyari ng mga pangkaraniwang mamamayan ay kailan may makikitang may kapangyarihang nakulong. Kung ang nagkasala ay isang pangkaraniwang mamamayan, kulang sa pinag aralan at walang abogadong magtatanggol man lamang, hindi pwede na ang rason ay nagkasakit ng ilan ng buwan, hindi pwedeng humiling na mangibang bayan man lamang upang doon magpagamot at higit sa lahat mas mabilis pa sa ulupong ang proseso ng paglilitis. Napaguusapan ba sila? Gaano kahirap ang maging mahirap. Sa mga mahihirap nating mamamayan, suspek ka pa lamang ay naka kulong kana. Natanggalan ng ilang araw, buwan o taon sa iyong buhay bago mapag alaman na wala ka palang kasalanan. Ang hustisya sa Pilipinas ay isang “iling” sa karamihan. May magagawa ba ang mahihirap upang ipagtanggol ang kanilang kinasasapitan? Sa tuwing eleksyon, ang ating mga inihahalal na may mga platapormang; Itaas ang pamumuhay ng nasasakupan, pagkakapantay pantay ng mga mamamayan, trabaho para sa lahat, pag iingat sa inang kalikasan, pag igtangin ang proyektong inprastraktura para sa bayan o matanggal ang krimen para sa tahimik na pamumuhay ay ilan lamang sa mga pinanghahawakan o rason kung bakit natin sila nahalal. May nakatupad naba?. Projects are defined as work involving a single or group of people to finish it that usually involves research, design or implementation. Projects can be further defined as temporary rather than permanent that are constituted by teams within or across organizations to accomplish particular tasks under time constraints. From the dictionary, An official is someone who holds an office (function or mandate, regardless whether it carries an actual working space with it) in an organization or government and participates in the exercise of authority (either his own or that of his superior and/or employer, public or legally private). A government official or functionary is an official who is involved in public administration or government, through either election, appointment, selection, or employment. A bureaucrat is a member of the bureaucracy. An elected official is a person who is an official by virtue of an election. Officials may also be appointed ex officio (by virtue of another office, often in a specified capacity, such as presiding, advisory, secretary). Some official positions may be inherited. Today, we could see different tarpaulins, posters or even names of an incumbent or previous government official written on the Infraastructure, public works or activities that are project of the government, local or national. Senator Miriam Santiago made it a point for the Filipino people to become aware that the money spent for this projects are from the taxpayers money not from the government officials with their pictures smiling attached to the project on going or done. Anti Epal Bill or formerly titled “An Act Prohibiting Public Officers from Claiming Credit through Signage Announcing a Public Works Project” or Senate Bill number 1967 is directed to politicians who claim credit for government projects. “Epal” is slang to “mapapel” or best defined as people who are attention grabbers, crave a role that are not theirs or scene-stealers that are not appropriate. In terms of those government officials specially the incumbents with lots of tarpaulins as big as 10 ft x 10 ft square meters with their pictures and claiming it is their projects on going, the Senator find this unethical that could lead to corruption and evil because the project is funded by the taxpayers money. Here are some points from the bill. SECTION 1. Short Title. - This Act shall be known as the "Anti-Signage of Public Works Act." SECTION 2. Declaration of Policy. - It is the State's policy for public officers to serve with utmost responsibility, integrity, loyalty, and efficiency, and to maintain honesty and integrity in public service. C) "Public works" includes, but is not limited to the following: streets, bridges,sidewalks, walkways, public buildings, public parks, sewage facilities, basketball courts, waiting sheds, and lampposts, which are funded, wholly or partly, though public funds released by the Government\ and (I?) "Signage" any form of writterl announcement, installed, posted, hanged, painted or otherwise displayed in a public place. When Jose received 200,000 pesos in full from a buyer of fruits. He was happy. Jose is the owner of an orchard and usually every year, he spent more than the amount of fruits he sold that varies from 30,000 pesos to 40,000 pesos. This is because of Climate Change, the change in temperature and weather determines the amount of fruits not to mention the calamities such as typhoon and earthquake, which is rampant in the Philippines. Jose received 200,000 pesos for the fruits that will be harvested for each year within 5 years. This is his first time move and considering the cost of it today is different after 5 years. From the book Financial Management principles and applications, the amount of money today is worth more than a dollar received a year from now because for instance a peso today can be invested and earn interest. The economist calls an “opportunity cost” of passing up the earning potential of the peso today. The opportunity cost is the time value of money. Compound Interest and future value is very important in realizing the significance of the value of peso today. Since Jose received 200,000 pesos today and that value on the other hand is not sure on the buyer who paid him in full because of Climate Change and the risk he took which could be favorable or not, the luck is with Jose and the opportunity cost if he will use it well will be resulting to an earnings. Say, Jose invested that money in full in a sure business, he could earn more, that is the opportunity we are talking about. If that 200,000 pesos earns 10% every year, the compound interest will be 20,000 pesos and for the next year will be 22,000 pesos because we add the principal and the interest for the first year which became the principal on the second year or present value, and the interest we earned the first year, in effect we are now earning interest on interest, this is the concept of compound interest. This is a discussion I have with my mother today, the “Time Value of Money” which is the money is more important today than in the future because of the “opportunity cost” and the value. This is to understand the best options if there are choices and decisions to make in terms of getting the money right now in full or wait for it every month. From this computation, I will stick to the full amount received today than a staggered payment that in five years, the risk is still there. To make decisions, financial managers must compare the costs and benefits of alternatives that do not occur during the same period. Whether to make the profitable investments or to take advantage of favorable interest rates, financial decision-making requires an understanding of the time value of money. Managers who use the time value of money in all their financial calculations assure themselves of more logical decisions. For Advocacy, Political, Lifestyle and Empowered Blogger. 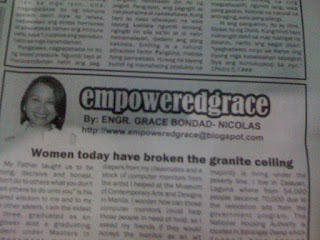 My Blog is featured every week at the CALABARZON area newspaper “Kliping Times”. Topics are about Advocacy, Politics, Lifestyle and Empowerment. For this Christmas season, I am planning to feature 5 Blogs before the end of this year. For your opinion, news and advocacy to be heard and printed, I am opening slots and opportunities for you. I will accept articles the whole month of November that will be published and printed every week up to the end of 2011. One article per person will be published but you could send up to 5 articles to choose from. Planning to give also additional prize for the Blogger who will be chosen, ok, still thinking about what kind of prize, so stay tuned! When I had the beach house project at Batangas under Landco, my kids enjoyed the natural wonder of Calatagan and the virgin nature at it’s best. The Clubhouse at Ciudad De Calamba under Filinvest made them to enjoy the beauty of themed architectural designs. With the new developments at the South, with three big companies competing to make Santa Rosa City a nice place to live in, Nuvali under Ayala Land, Eton properties under Lucio Tan Group of Companies and Pramana Residential Park under Campos Greenfield Corporation are doing an Eco friendly subdivisions and developments at it’s maximum speed. New Asian Tropical Designs are the showcase in these projects. Man Made Lake is located at the “Salk Late City” developments under Eton and is strategically located just after their own Eton Exit at the South Luzon Express way (SLEX) with cut of lot area from 70 square meters. 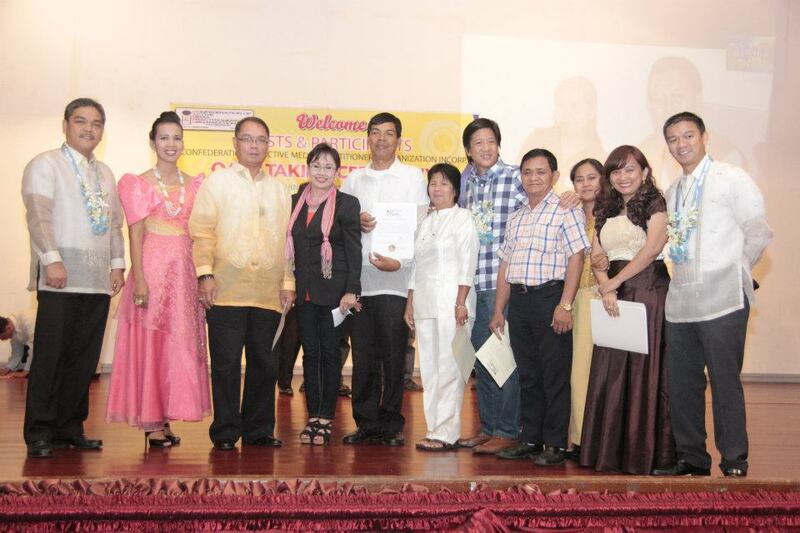 The architectural designs are from our top Filipino talents and could be seen the love for environment. Residential with patch of plants, roof with real grass and big windows to see the nature outside. Unlike any other subdivisions, these three developments have the same theme for the exterior of the house which is Asian Modern designs. Lot prices starting from 10,000 pesos, one could have their dream home build in this first class community. The development in this city is just the proof of progress. Santa Rosa is a first class city in Laguna under Mayor Arlene Arcillias- Nazareno and the only city with these kinds of developments in Laguna. More than 3000 hectares of land has been transferred from agricultural to commercial and residential lots, proof that many people are employed for the developments. Manufacturing Companies are located here too such as Coca Cola Bottlers Philippines, Toyota Motors Philippines and Asia Brewery among the others. Other notable developers are here too such as Manny Villar’s Crown Asia and Santa Rosa Estates. Xavier School, Miriam College and University of santo Tomas (UST) is on it’s way to give good quality education to the residents. My kids enjoyed a lot the beauty of nature, they do fishing at Eton’s Salt Lake City’s man made lake, boating and Coi feeding at Nuvali and the trail at Pramana. 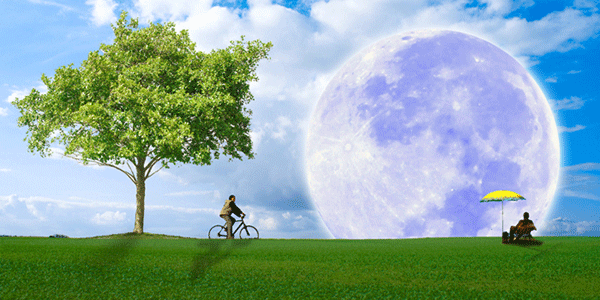 It’s a dream come true for those who would like to escape the pollution from the city. The quiet place where the nature and progress collides is in these places. This is a dream that most active and busy people wants to live in. First in Laguna and located at Barangay Hanggan, Calauan is the newly opened “Isdaan” Floating Resto- Fun Park. A sister company of Barrio Fiesta and owned by the Ongpauco’s. Gigantic statues of Monkeys, Crocodiles, Fishes and Mermaids are all around with singing cooks and waiters serenading you. Affordable prices of Filipino cuisine and nice ambiance are the catch if one will drop by here. Everything is new. 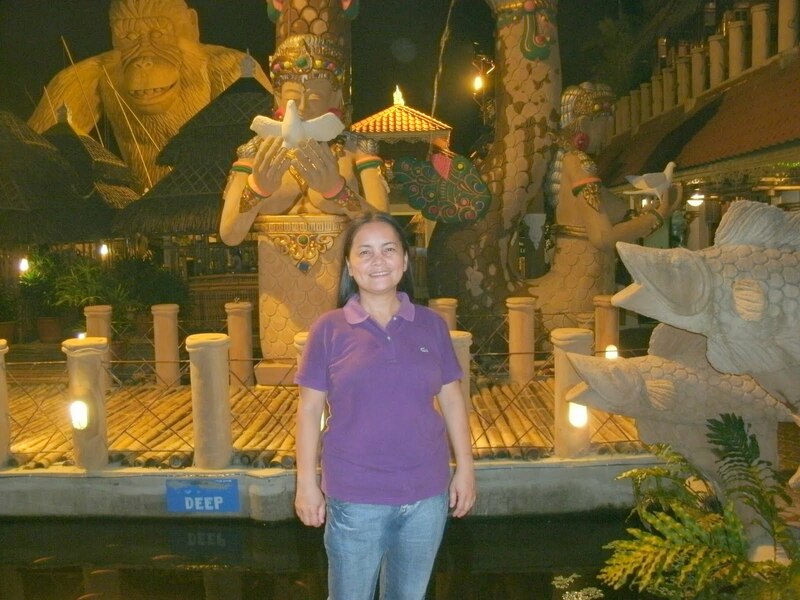 Lot’s of attraction in this 3 hectares place at “Isdaan” like a boat ride for only 20 pesos. The “Tacsiapo” is where one could release his anger with the minimum purchase of 25 pesos, you could remove your anger by throwing the plate to the wall. The floating Nipa huts are everywhere catering from 10 people to 30 each. For more like an outdoor dine in, there’s that biggest Monkey and lot’s of Coi area for you. I love the lights at night. The area is like a themed park with heroes such as Incredible hulk, Spiderman, the former President Cory Aquino and Erap? Why the kids would love it? Because of these toys located at all the right places. Overall, we went here because of the birthday of my Twins, yes! The food is great specially this Inihaw sa Bilao for only 500 pesos plus with assorted sea foods. I love the pitcher of Fresh Buco Juice, In Calauan though we have many from our farm, it is much easier to buy it than to ask someone to get from the tree. Main point is the employees. The newly opened restaurant gives work to the population of 70,000. Brgy. Hanggan main means of living is gardening, one from the 17 Barangays of this 3rd class municipality. The business gives work and could help the community to be known in the whole Philippines as the biggest Floating Restaurant in Laguna. Tara! Direction: From Manila, SLEX exit to Calamba. Go straight to Los Banos. from Los Banos there's a crossing for Calauan town proper,Sta Cruz and Bay, Laguna. Go straight to Sta Cruz way instead, then on the right side will be the Isdaan just 1 Km away from the crossing. Barangay Bangyas is the first Barangay at Calauan, Laguna that way.